The Film Development Council of the Philippines (FDCP) has launched an essay writing contest in line with its movie, EMIR. 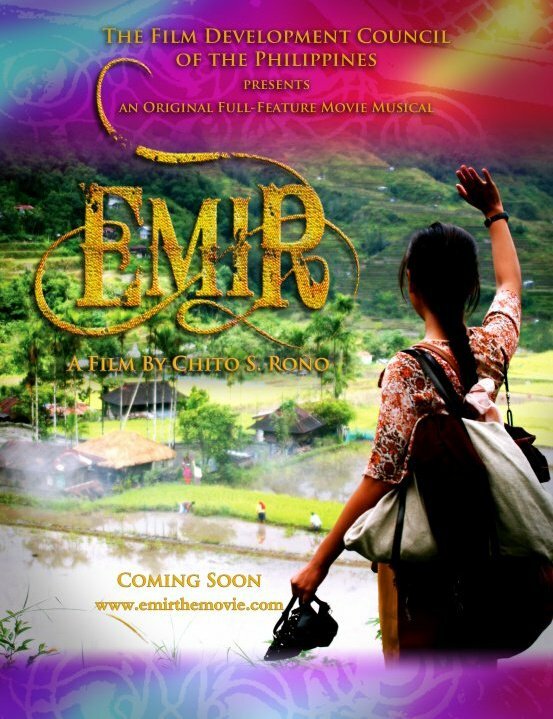 Produced by the FDCP, in association with the Cultural Center of the Philippines (CCP) and with the generous support of the President's Social Fund, EMIR is the biggest original Filipino musical ever to be made. The FDCP envisions the film to improve the general perception of OFWs, and in this light, considers Education as an important avenue. This contest is done in cooperation with the DepEd and CHEd and is open to students from grades 4 to 7, High School and College. Write a 200-word essay answering the following question: What did you learn about OFWs in the movie, EMIR? The winning student’s principal/headmaster or their duly appointed representative(s) will also get 10,000.00 for the 1st prize, 5,000.00 for the 2nd prize and 2,500.00 for the 3rd prize. Write a 700-word essay on how the movie, EMIR, helps promote the heroism and dignity of our OFWs, thereby giving them a better, more positive image. Write a 1000-word critique focusing on how the movie, EMIR, relates to the adage, the hand that rocks the cradle, rules the world. What implications about Filipino society does the movie present? DEADLINE FOR ENTRIES has been extended to JULY 23, 2010. Friday at 6pm. WINNERS WILL BE ANNOUNCED via the Film Development Council of the Philippines (FDCP) website, e-mail and the Press.